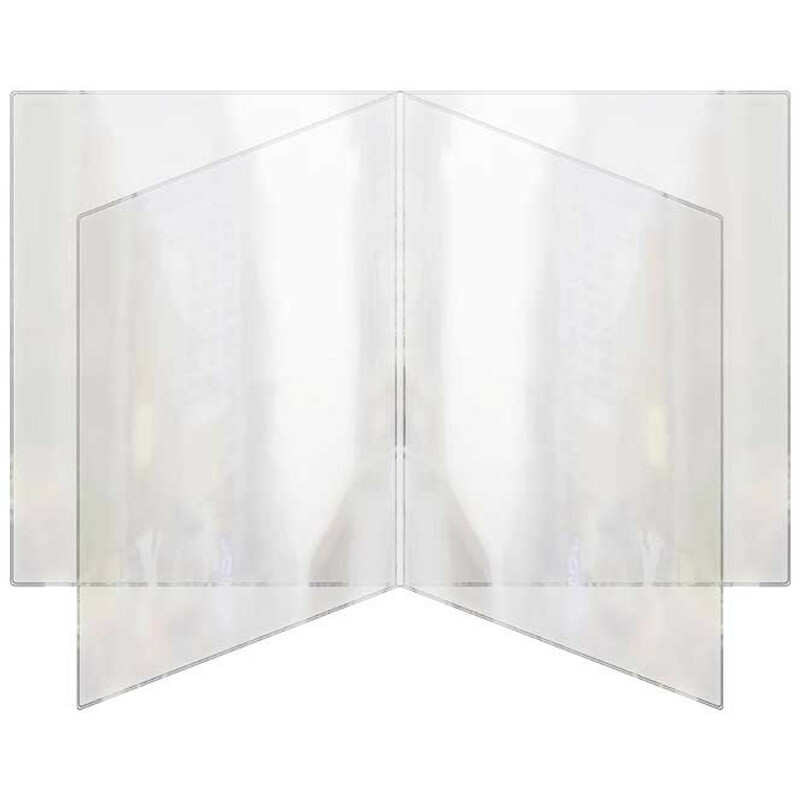 Multi-page menu holders are made from heavy duty crystal clear vinyl. The extra pages are sealed along the middle spine. All clear heat sealed menu covers are offered in many sizes and configurations. Most sizes are in stock and available for quick shipping. Sold in dozens only. Two dozen minimum. All Clear Menu Cover Four Panel Eight View Booklet 8.5" x 11" - 12 pc. All Clear Menu Cover Four Panel Eight View Booklet 8.5" x 14" - 12 pc.